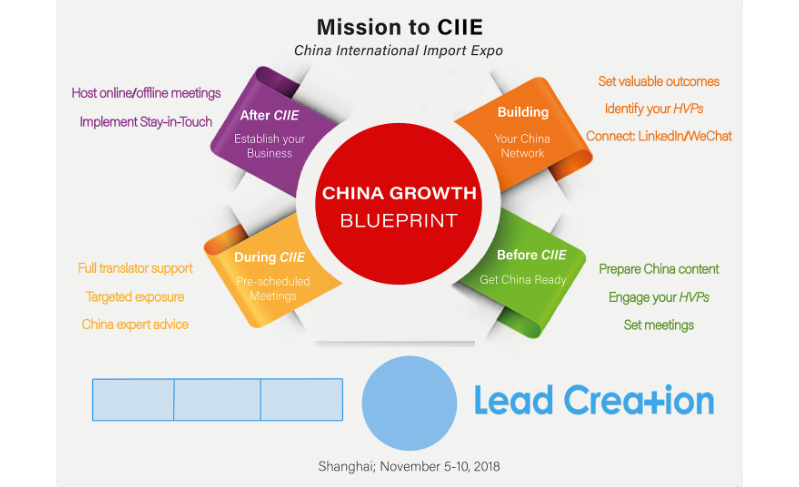 We did an online poll using MentiMeter to have an overview of the attendees’ business experience in China and the challenges they are facing. When thinking of China, what’s the first word that comes into your mind? If you had the opportunity to tell your High Value Prospects in China just one valuable word about you or your business? This Mission is set up in association with our partner The Guangdong SME Association - with facilitation of the Export Market Development Grant (EMDG). Qualified and experienced experts in corporate structuring, IP protection, patent registration and local company set up, will join the Mission to provide support on the ground. ACSME will play a hands-on role in the phases of Preparation, Pitch and Follow up. The goal is to ensure that every delegate reaches the final stage of this process, as to move forward with full confidence. There’s a selection of a maximum of 10 companies to join the Mission. Registration by 30th June 2018. Learn more about the ACSME Innovation Mission and register your interest here. Run by the Toby Marshall of the China Australia Events Association (CAEA) and David Thomas (Mission Leader) of ACSME. There’s a huge game changer happening in Shanghai: the China International Import Expo (CIIE). There will be 150,000 Chinese buyers attending and about 20,000 international businesses exhibiting. How is the database of High Value Prospects built? The database is primarily built on LinkedIn Sales Navigator with the right filters to get the results you want. There are over 3 million business managers and professionals in and around Shanghai, and they are on LinkedIn because they are externally focused. Although there are political tensions at the moment, the governments of both NSW and Australia are committed to free trade between China and Australia. With their China Strategy, they want to reinforce the people to people, trade and economic relationship of the two countries. There are more than 170,000 people of Chinese origin living in Australia and many Mandarin speakers. This shows our strong connection with China. The next ACSME Roundtable topic will be ‘Doing Due Diligence on your Chinese Partner’ and is on Tuesday 31st July. Register now via the button below. You can also sign up for ACSME Membership to receive priority tickets for future monthly Roundtables.